Posted: January 27, 2018 in 📝 Articles, 😃 The Rave! There is a frantic buzz at the moment in the UK, Birmingham City to be precise. And with it comes a huge burst of inspiration in the form of Know Hope. I caught up with the founder of the exciting new brand Kieren Frantic, to find out what’s it all about. I am a curator of whatever I focus on at the time, music, fashion design, digital design, video and/or photography. Despite being young, you have been at this for over ten years. How have you grown as an artist? When you say it out loud, 10 years sounds mad. I first started recording properly when i was about 16 I would say, just making grime with my boys because who doesn’t want to do that at 16. Then I got signed to an independent label when I was 19 but that was short lived, I took years out came back took years out came back again. In terms of how I have grown, my writing influences changed, it started off me proving I’m the toughest kid in the area to just mastering my craft. As I got older I wanted to write about what I was going through, more introspective and now its all of those things with social commentary so all people can relate to it. Its our story not just mine. How does the Birmingham scene differ from other city’s? Birmingham is the city of underdogs. I like that though, its better to underestimated and over deliver. The only real disadvantage is that we have no structure here e.g no label, no a&r, no national station here. But again that isn’t a problem in this YouTube generation. The 0121 anthem, what was the thought behind that? Honestly it was just organic. Heard the beat and it was tough, hard hitting like a statement, so my chorus had to match. I was just sitting there like ‘jeeze where shall I start… 0121 straight to the heart’. I was going to leave the 0121 just in that bar and digress, but I thought for where the Birmingham scene is it would be good if we had an anthem, a chant. So I used that line to inspire the concept. It’s one of those songs that we will look back on like a Polaroid photo – it captures the timeslot before Birmingham blows. When I first heard the track I couldn’t decide if it was Grime or Hip Hop. I wondered if that was by design? Yeah its a grime type of beat, cold baseline minimal drums. But the flow I do on the verses is spaced out not a typical grime flow, makes it easier to take in the lyrics and more universal. Pretty good for a freestyle too. Is there a new album on the horizon? How does the British scene stand up against the USA? You see the thing is, in America they are not asking how does the USA scene stand up against Bangrah for instance, which is a huge industry by the way. I don’t think we need to stay looking over at USA to benchmark ourselves. We have our own standalone sound, loads of talent and we’re beginning to have our own industries to push it also, things such as SBTV and the YouTube channels, 1xtra etc. We just need more structure. Do you think British Hip Hop or Grime could be promoted better in the UK? I think it is promoted very well at the minute considering how young the scene is. Remember Grimes is currently being promoted and led by the same artists we were jamming to in school. They’ve gone from emcees to CEO’s in their own right. The problem UK has, is the media stigma of Grime – as far as the papers are concerned, we are the problem. What type of artist can we expect to see from Know Hope? Without sounding cliché, I only work with people that are the best at what they do, and know exactly what it is they do. It’s about finding your lane and owning it. I was told it doesn’t matter what you do in life as long as your the best at it. 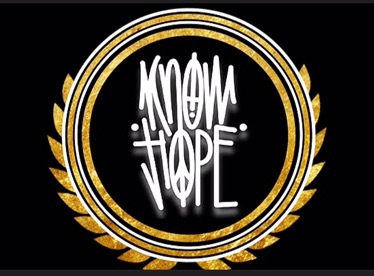 What is the concept behind Know Hope? The aim is to inspire, delivering the message of success through self belief. So if you are wearing a top, tracksuit, cap or whatever the logo is like wearing your favourite sports team’s emblem. By wearing it you are saying, I believe in myself and I don’t give up or give in. As time goes on we will develop this brand and message further, for now I’m just getting the message out. Are you a record label or a clothing line? Neither, its a culture brand. We feed the culture and get inspiration from the culture. It’s just everyday people like me and you who love what being young in Britain feels like and want to landmark it. We put out clothes, music, manage artists, put on events – everything. 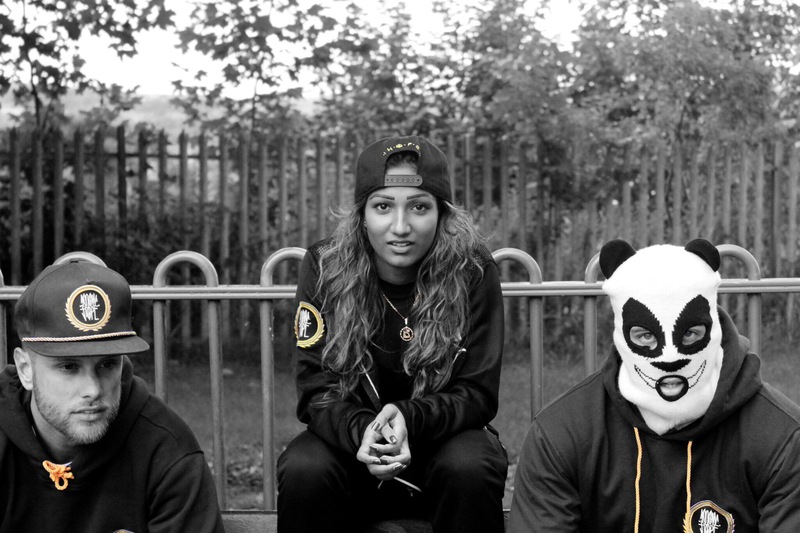 I have to ask, what’s with the Panda mask? You will see that the Giant Panda Bear plays a big role with the brand. 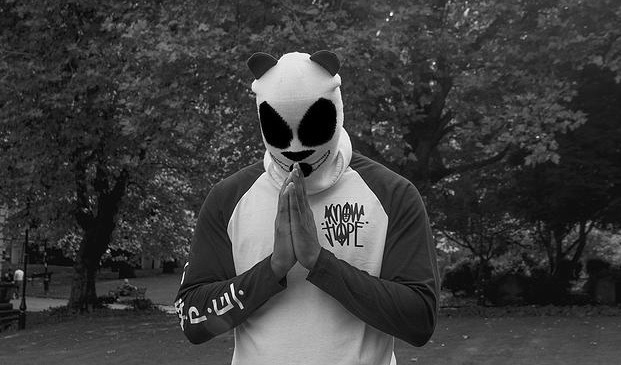 The Pandas are symbolic to the type of people ‘Know Hope’ represents. Giant Pandas work best on their own, they’re not followers and their environment is causing them to slowly become extinct. Like us they are a last of a dying breed of leaders and survivors. What has the public reaction been towards the brand? It’s really positive, people have taken to it locally and we intend to expand and grow the brand over the next year. The plan was always home then Rome. I don’t want to say too much because I like to keep my cards close to my chest, but its like I said, we’re a culture brand. So everything you see in our culture music, fashion, entertainment, we’re coming for it all. And we will spread our message at the same time, there’s purpose in all we do. Where can people buy the clothing and or the music? The Rave 😊 #02: Anyone for Kake? Posted: February 13, 2015 in 😃 The Rave! It’s that time of the year again when everybody is struggling to think about what they want to get for their loved ones. This year I stumbled upon one of those ever growing pop up shops in Old Street Train Station called Kup Kase. What originally caught my eye was the array of plants and colourful items on display. 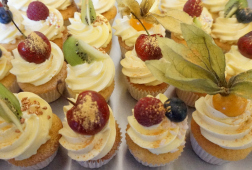 As I got closer I noticed there were lots of boxes of freshly made cupcakes for sale. I was greeted by the owner, a lovely lady named Kasey Clarke who patiently walked me through all of the merchandise on offer. Here is a short video of Kasey showing off another one of her treats, the Kake Pot. This is a must see for anybody with a sweet tooth. For my special someone, I purchased a little plant encased in a glass sphere and a box of 10 cupcakes. 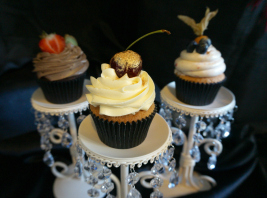 The cupcakes were so delicious they will make you cry tears of joy that taste of sugar. Everything for sale was reasonably priced and every product I saw was good value for money. I like to help smaller businesses that are striving to carve out a name for themselves in a world dominated by big brands names. The service and products were so good that I just had to share my experience with the rest of the world. So the next time you are on the lookout for some tasty treats, do not hesitate to get in touch with Kasey at www.KupKase.com , you will not be disappointed. Around Christmas time last year I booked a game of bowling for myself and a few family members. The booking was quick and easy no trouble at all. Unfortunately on the day that we were due to bowl there was a power shortage at the O2. 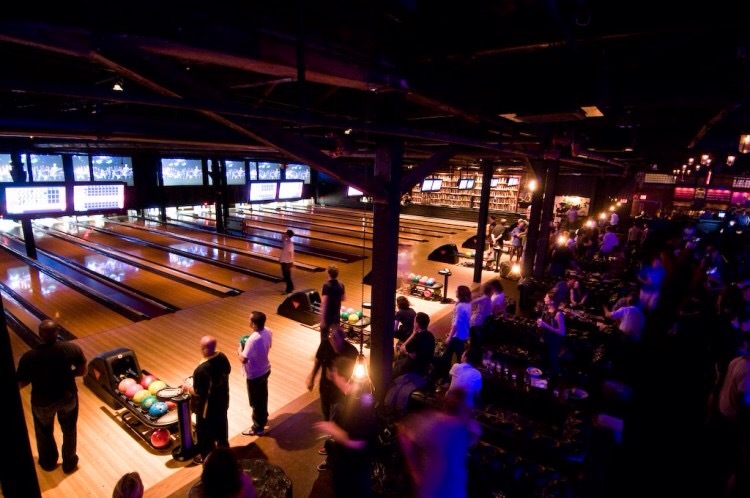 The staff at Brooklyn Bowl explained to us that it was not their fault because the power shortage affected the whole of the O2 and not just the Brooklyn Bowl. The excited children’s faces quickly turned to one of dismay once they heard the news. Some of the parents had to travel quite a distance in order to attend the O2 not to mention the extortionate parking fees they had to pay on arrival. The staff at Brooklyn Bowl obviously have hearts because despite the fact that this was not their fault, they offered to compensate us for the day. 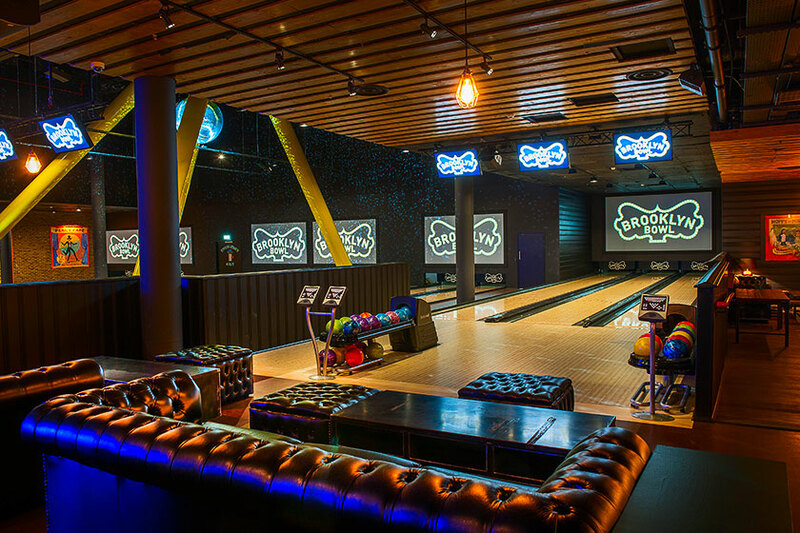 They were quick to get in touch with me and they offered us a free game of bowling for up to eight people including the rental of the shoes at any other convenient time. I was surprised and impressed by this gesture so informed the gang and I reorganised the event for three weeks later. On arrival at Brooklyn Bowl we were made to feel welcome and treated like guests. Our personal waitress who looked after our ally was able to assist us with setting up the games and helped us with any queries that we had the whole time we were there. Although the food was a little pricey the portions are generous and everything was tasty. It was a fun packed day and everybody had a great time and agreed they would be happy to return for another couple of games in the near future. It’s not often that you find a company that goes out of their way to make their customers happy. I give credit where credit is due.